Hi everyone! 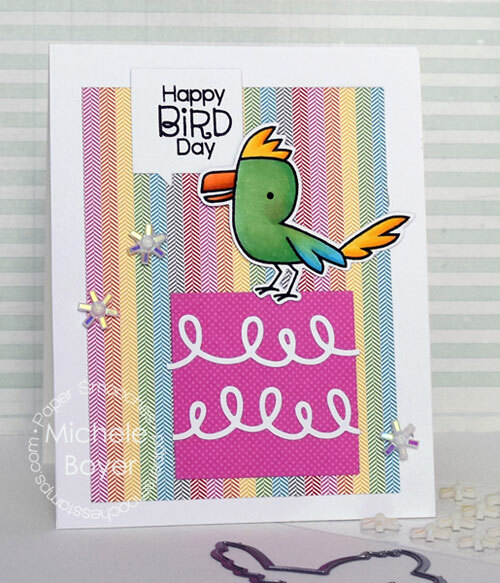 I’m popping in today with another quick card I created using Paper Smooches‘ new Baby Birds stamp set (free with any $60 retail order through 11/30). 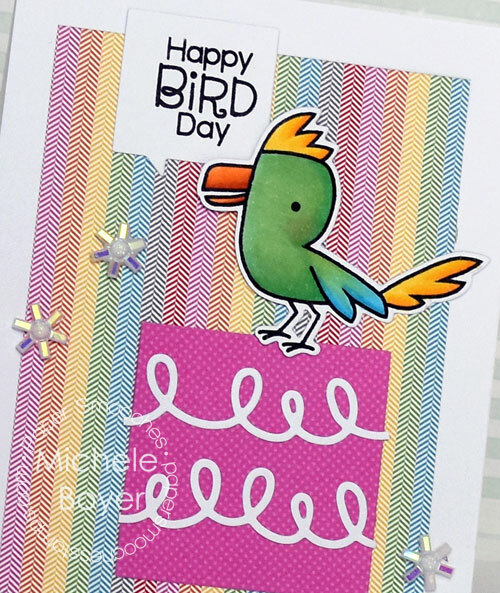 I also used coordinating Baby Birds Icons dies and Deco Edge dies. I used one of the Deco Edges to create “icing” on the “cake” then added some shimmery white Pinwheels from Queen & Company. That’s a sweet card ! I love the background.